Join the Stark County Bar Association Today! Not a member? See what you are missing. 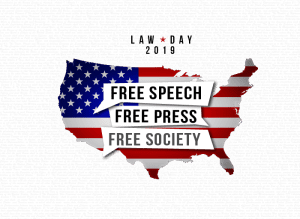 2019 LAW WEEK "FREE SPEECH, FREE PRESS, FREE SOCIETY"
The Stark County Bar Association was founded in 1900 and has proudly served the Stark County community for more than 100 years. The purpose of the Stark County Bar Association is to work for the general good of the community, to improve the administration of the law in the interests of the public, to promote good relations among the members of the bar, and to further the professional interests of our members. Our staff is here to serve the members of the association and look forward to working with you. Please feel free to contact the bar office if you ever have any questions. This is what we are here for. The Honorable Chryssa N. Hartnett took office as President of the Stark County Bar Association when her one-year term began on July 1st. Judge Hartnett became the 101th President, succeeding former president, Attorney Jennifer L. Lile. At the Installation Luncheon held on June 20th the Association’s Elected Officers and Members were sworn in for the 2018-2019 term. The Stark County Bar Association will hold its annual Law Week April 29th – May 3rd. We will sponsor a wide variety of student contests including a Poster Contest, Essay Contest, Digital Media Contest, Moot Court Competition and offer a Tour de Courts to give students an opportunity to learn and visit our different Stark County Courts. We will also present the prestigious Liberty Bell Award during our Law Day Luncheon. For forms and further information click on the logo above. 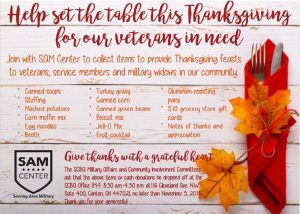 The Stark County Bar Association’s Military & Veterans Affairs Committee and Community Involvement Committee once again sponsored a Thanksgiving Basket Drive that benefited the S.A.M. Center (Serving Area Military). The Stark County Bar Association offers a Legal Scholarship through Stark Community Foundation. 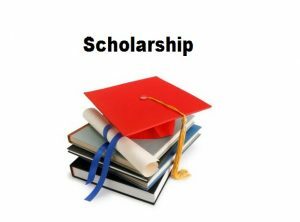 To learn more about our scholarship opportunities, eligibility requirements and information, please visit Stark Community Foundation’s website at www.starkcf.org. The Application deadline is April 1st.